Our goal is to offer your company cutting-edge technology in cargo handling. Quality, safety and environmental responsibility are intertwined with our work and our relationship with customers. For more than 30 years we have invested steadily in new equipment and education of our personnel. 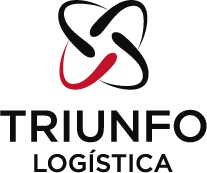 Triunfo Logística’s solutions involve technological and legal aspects led by a professional team focused on the development of operations strategies. Triunfo believes its greatest asset is its workforce and therefore invests continuously in courses and training of its personnel. The company has in its staff the vanguard of mechanic and naval engineers, but also values experience of their older personnel. To be acknowledged by the market as the best company in engineering solutions applied to logistics in Latin America. To offer our customers engineering solutions that provide the most efficient logistics in cargo handling.